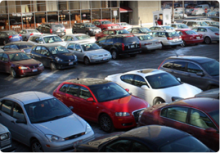 Advertisers: Reach Columbus Monthly Parkers! Valet Text for Retrieval Technology. Is It Right For Your Operation? I love the valet service. I have trouble walking and can't walk very far. They are very nice to help me get from place to place. I have used the service since it opened and will continue to use it. Thank you. I attend the pain clinic at Dyer Hospital. I use a walker and the valets always help me get a wheel chair and get me where I need to go. They are an asset to your company. We used this service for + 7 weeks while having therapy. We were always greeted with a smile. Your employees are Excellent! They made a difficult experience more bearable. Well Done!!! I had a flat tire and call security for help. They contacted the parking ambassador team who were there to help within minutes. It was 91 degrees in the garage that day and the heat was overwhelming. I want to thank them for helping me get home safely by changing my tire to the spare I had in the trunk. I would like to extend a warm heart filled thanks to your employees who helped me change a flat tire today. Their promptness and professionalism was greatly appreciated. Please know the excellent service provided today will never be forgotten. Thank you. Thank you for donating your service to help our cause! Our sincere thank you to your staff for going above and beyond to be there for us leading the event. Your commitment and hard work helped us have a successful event with easy parking for our guests. You have made a great difference! I had a flat tire. Two service trucks came to my aid. The weather was terrible, cold and just plain ugly. The service, however was absolutely great! Parking Services should be commended for their wonderful care. Heads up for a super job. The members of valet parking have become valued members of our team and we appreciate all of their hard work and consideration they give to our patients. I have used valet before, but this was the best experience. Your valets went above and beyond to help me. They were so courteous and made us feel really special. Kudos to them! I had the most wonderful experience from valet parking and wanted to take the time and say thank you. When I pulled up to valet, a warm beautiful smile greeted me with the famous question... do you know where you're going miss? What a difference a great staff makes. I can't explain how much I am forever grateful for them! Awesome customer service! The first face that greets the customer holds the most value! Your valets are cheerful and respectful to everyone and so helpful. They are truly living the ProMedica mission. I want to let you know that one of your employees went beyond the call of duty helping us. My dad was taken to the ER after a doctor's appointment. I left the ER to try and find my parents car... which was parked in the Duke South parking garage. The only way I knew to go to this parking garage was to walk out on a busy street but your employee helped me navigate a much easier way to get there. The employee then helped me valet my parents car so it would be ready for them the next day when my dad would be discharged. This act of kindness on a very long stressful day was greatly appreciated. Please convey my appreciation to him. The valet was quick.. They really hustled to get you in and out quickly. A Blessing for visiting Family, Friends and/or Visitors of patients who are receiving care at the Hospital! For the past seven weeks my father has been receiving radiation and chemotherapy at the Clinic. As we drove up to the valet for the first time, many valet's were directing cars, opening doors for the guests arriving and greeting them. After a friendly greet, my dad smiled for the first time since his diagnosis. When we were finished about 40 minutes later, after checking out at the valet desk, we went outside to wait for our car. The valet from earlier saw us and said, Didn't you just arrive a short time ago?" I explained our circumstances that we would be arriving every morning at the same time for a while for treatment. He said to me, "I would be happy to help you. Look for me each morning and I will take care of you and make sure your car is close" This was a pure miracle for my dad! Your valets have touched our lives in an indescribable, incredible way. 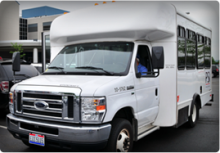 Thanks"
The valets do such a wonderful job and could not be more helpful! I am grateful for the wonderful service they provide. The valet captain is always pleasant and smiling! 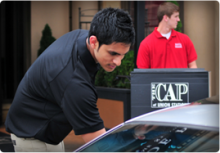 Whenever we pull up to valet, he always has a kind word and is quick to attend to our car! Excellent service! During my daily short wait for my vehicle, I had the opportunity to observe your staff at work. I have seen them hurriedly go to get vehicles so wait would be short. I have also seen them assist patients with wheelchairs along with patient's personal belongings. Your staff is friendly, polite, patient and efficient. Please convey my appreciation to your team for being" and "doing." Kudos to your staff on a job well done!" I was amazed that my car was waiting for me! Thank you. I have to bring my daughter to the hospital every week for blood work. 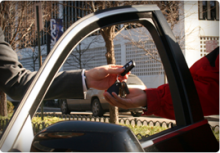 The men and women who do the valet service are very personable and efficient and very kind. I would like to thank them! I just wanted to say how pleasant your valet employees are. They display great attitude toward the patients and other employees in the hospital. They display great hustle and during the busiest times of the day is when they shine. It is obvious to anyone that watches them that they take customer service seriously. The valet was really nice and friendly. Brightened up my day. I want to thank you for the wonderful experience I had over the last several weeks in the midst of a difficult time. What made my experience more pleasant and regularly brought a smile to my face was the excellent service provided by the valet team. They were extremely attentive, coming out as soon as they saw me arrive and then getting my car again when they saw me coming out from the center. They have a kind demeanor and always offered a warm smile. When you are going through treatment, having people know who you are makes a difference. Seeing them do things unprompted (like getting my car as I come out the door), makes a difference. Seeing a friendly smiling face every day makes a difference! The valet staff is an amazing hard working group. They are professional, polite and caring. They truly helped make our difficult trips feel better. Bravo, Bravo. "This is a wonderful service for me as well as my 81 year old mother who frequently must go to the hospital due to various procedures. Staff is excellent and professional." The valets were so helpful when I had so many bags to carry in. They were kind, friendly and helpful. Yesterday was the annual Silver Spoons event at the Intercontinental Hotel. 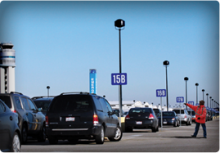 The hotel valet team parked over 500 vehicles. The team was responsive, polite and hustled the entire night. This was all accomplished with zero claims or incidents. I want to give a special thanks for their dedication to ensuring a smooth event. Great job! When I came today to pick up a prescription, I was reminded of the people in the world who work hard to make what could be a difficult situation, bearable and even pleasant. Your valets are those people. Whenever I come to my appointments, I look forward to the courteous, kind assistance. Love it, Love it Love it! Especially since they began redoing a large part of the parking lot. It absolutely saves frustration driving around walking a long distance to your destination. I have been coming to the hospital for years and every time your cashier is at the front desk, she brightens my day! She is so kind and happy and she makes a point to say hello and ask how I'm doing. It's rare these days to have an employee who goes out of their way to make peoples day better. The parking ambassadors helped me change a flat tire today in the JJ garage. The gentlemen were absolutely fantastic! This is world class service! This is a great service for everyone. My mother would not have been able to go to her appointment if this service was not here! Everyone is so friendly and helpful. Thank you to all who help with this service. Have a nice Day! I doubt you can improve your valet service! I have stayed in hotels all over the world and there is none even close to the quality of service, thoughtfulness and kindness of yours. Your valet team went above and beyond to help resolve things and comfort my stay. They deserve special recognition for their professionalism, knowledge and kindness. I've used the valet for the last 9 weeks and they have always been friendly, attentive and they are definitely an A+ service to the hospital. What a great service, really a big help. Thanks! I wanted to thank all departments for a job well done by the hotel valet team. My clients were very pleased with the entire experience! This is an example of the amazing service we deliver as a team to our guests. Once again, thanked for all of your dedication and hard work! "You couldn't ask for better People! They are the BEST!"